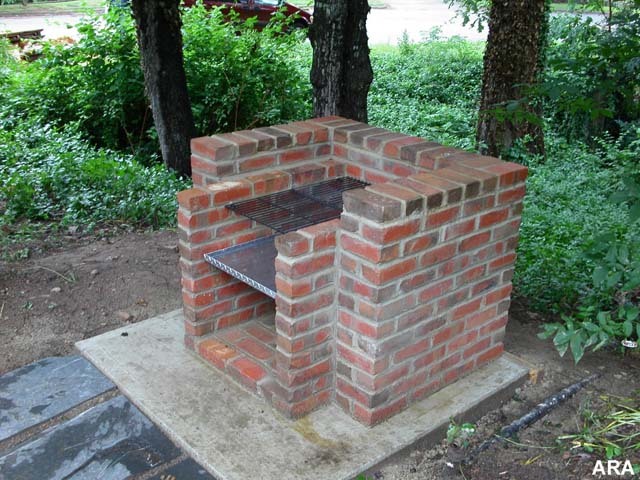 Have you every thought it would be great to build an outdoor oven in your backyard? Now that Christmas is over I start thinking about projects outside again. Maybe a little to early for a deck party, but a good time to start planning projects outside. If you are in a warmer climate with no snow and rain, it is always a good time to start projects outside. If you are thinking of hosting a football or hockey party this article will give you all the detials on what you need to get started and also how to construct an Barbeque oven. These days, people’s backyards have all the comforts of home — a relaxing place to sit, electrical connections for televisions and stereos and a refrigerator where snacks and drinks can be stored. People are also putting in outdoor ovens that do double duty, not only providing a place to cook brats and burgers, but on those upcoming cold winter days, warmth as well. Differences between an outdoor oven and a regular barbecue. For the instructions to build the outdoor oven pictured in this article, please click on outdoor oven plans.